On January 22, 2015, in honor of Martin Luther King Day Kennedy High School had its Third Annual College and Career Fair where volunteers from all over Bay Area came to participate in encouraging the students towards their goals of college and career. Ms. Jamie Myrick started this event because she is passionate about ensuring all students know that they are capable and deserving of a good life and access to college and careers. The variety of volunteers was exciting to have on the Kennedy campus interacting with the students for a full day. There were local engineers from Chevron, executives from Mechanics Bank, managers from Veolia Water and EBMUD and Unisun, Bay Area venture capitalists and entrepreneurs, local lawyers and community advocates, as well as many volunteers from the city including the Richmond Police Department and city council members. Both the Richmond Mayor’s office as well as Congressman Desaulnier’s office sent representatives as did both Contra Costa College and UC Berkeley. With over 65 volunteers attending the event, Ms. Peggy Fry and Ms. Jamie Myrick were able to get every class all day a guest speaker. 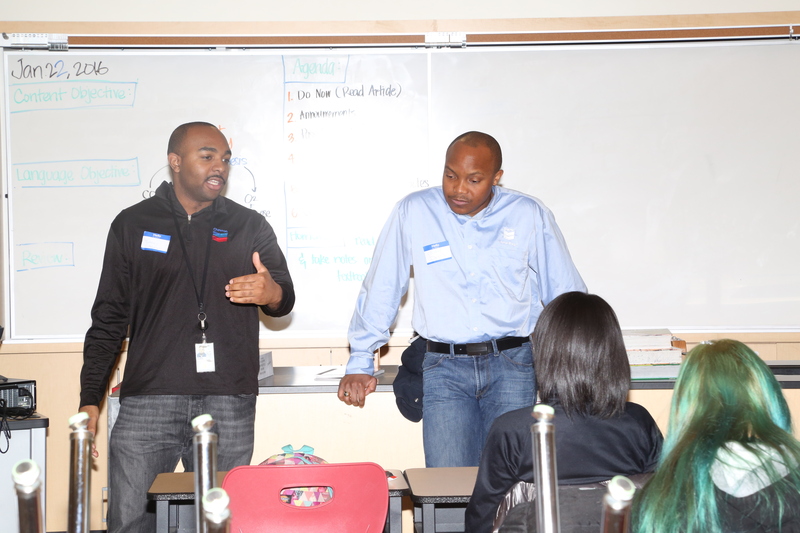 The students got to listen and have their minds opened by hearing so many different paths to a success. The IT Academy and the Kennedy team are grateful to all the volunteers who care about the future of the youth at Kennedy. Thank you for your investment in our youth! Your time and willingness to engage with young people will make a difference in their lives.